We all loved Annu Kapoor in Ayushmann Khurrana and Yami Gautam starrer 'Vicky Donor' in the role of a shrewd yet comical Dr. Baldev Chadda. He also won in his audiences as Advocate Pramod Mathur in 'Jolly L.L.B 2'. Now, he will be seen as Bechu Bhai in an upcoming film 'Muavza - Zameen Ka Paisa'. He will be essaying the role of a popular man of the village who makes his people aware of the compensation they are to fetch out of their lands to be used by the government for development. On this premise, 'Muazva - Zameen Ka Paisa' is rib tickling, super sarcastic, unique story of razor sharp wit focusing on the lives of Nuevo Rich of New Delhi & NCR. Their lifestyles, before & after, their identity crises & their raw approach to everything, their chowdharayat to prove their one-upmanship. The trailer is bound to tickle one's funny bone as Annu Kapoor cunningly traps people in plans to reap personal benefits. He's joined by the amazing cast of Akhildehra Mishra and Pankaj Beri who have proved their prowess with their acting skills. 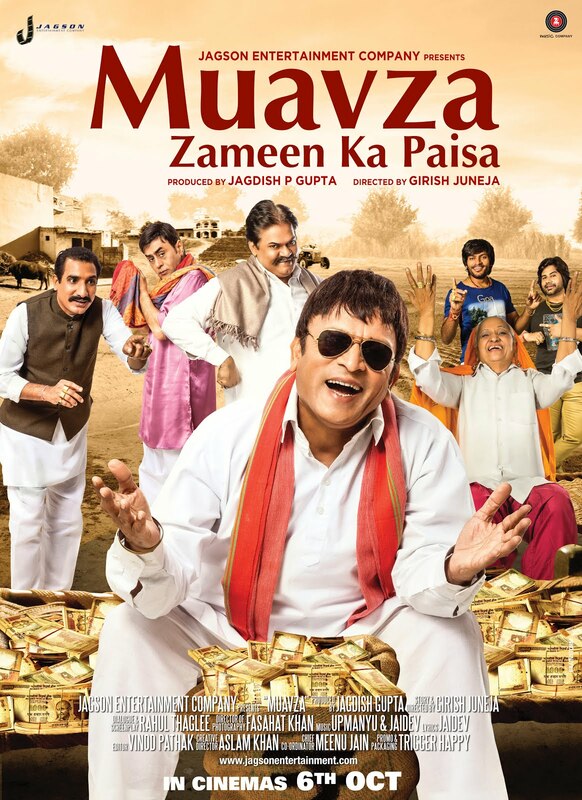 Produced by Jagdish Gupta under the banner of Jagson Entertainment company, 'Muavza - Zameen Ka Paisa' is all set to release on 6th October 2017. No Comment to " Annu Kapoor's Never Seen Before Avatar In Trailer Of 'Muavza - Zameen Ka Paisa' "